The Bema | What Is The Bema? Click to watch video of Pete Briscoe explaining The BEMA. The BEMA is a fictional dramatic production inspired by the biblical principle in II Corinthians 5:10 that we must all appear before the judgment seat of Christ, that each one may receive what is due to him for the things done while in the body. Based on the novel, The Bema: A Story About the Judgement Seat of Christ, by Tim Stevenson, The BEMA Drama was initially performed by Pete Briscoe as part of a sermon series in 1999. In 2000, Bent Tree performed the drama a second time and created a VHS video with the hope of sharing this life-transforming message of living for THE day beyond the walls of Bent Tree. In the Fall of 2011, Bent Tree reproduced The BEMA once more and recorded the services to create a DVD that will hopefully continue to take the love of Christ into homes all around the world. 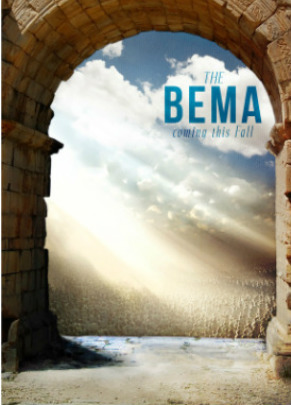 If you’d like to purchase a DVD of The BEMA, please visit the Order a DVD page. If you would like more information about Bent Tree, please "like" our Facebook page at facebook.com/benttree or visit our site at www.benttree.org.